Just select your size & colour below. Then enter your name & email address. We'll let you know the minute this item is back in stock! 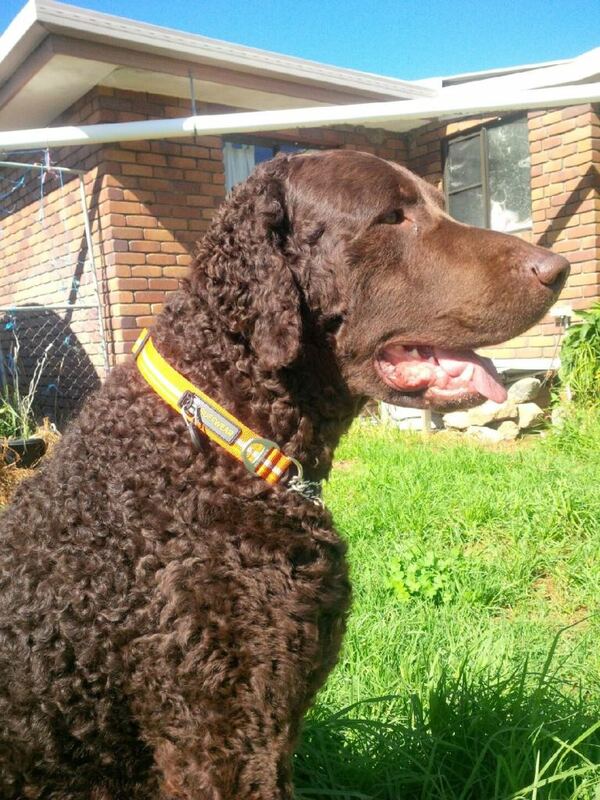 Limited Cinch, Audible Correction, Martingale Style Dog Collar. 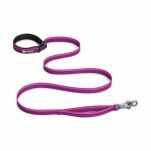 The Chain Reaction Collar is a great option if you wish to control your dog's pulling. You can compare all our products which help stop pulling here. 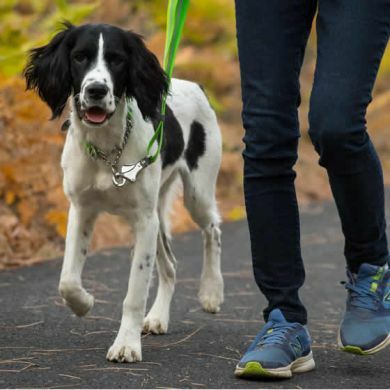 Ruffwear has totally redesigned their martingale style dog collar to come up with the brand new Chain Reaction Dog Collar. 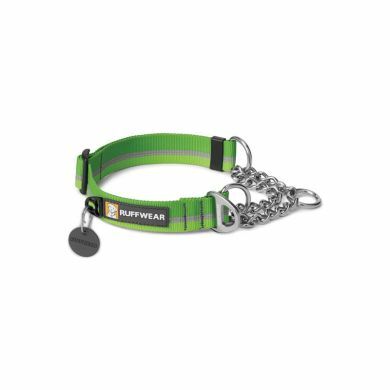 It combines unique Ruffwear-designed TubeLok™ webbing and a short section of steel chain to allow for limited correction with an audible cue. 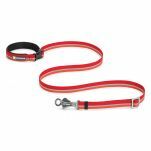 This makes it a great training tool without the harshness of a full check chain collar. 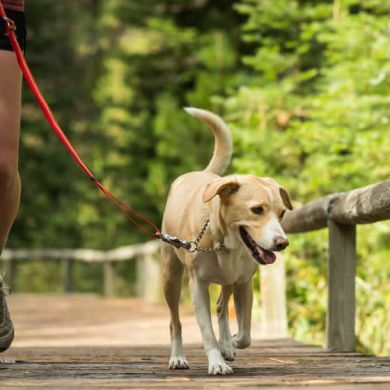 In addition to the chain connection point, the Chain Reaction Dog Collar also features a single-piece V-ring connection option for a non-cinch leash attachment point, making it dual purpose. No need for a separate collar when not in training mode. Available in four color options. 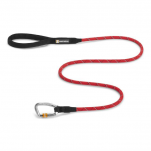 Get the matching Ruffwear Slackline Leash for the complete set up. Collar works well for my little tug-o-war champion (cavoodle)! He's not as keen to pull as much as he used to - though there's still some resistance there! I originally thought that the collar was a bit big even though it was shortened as much as possible, but it seems to be working just fine (I bought the small one). Read 11 customer reviews of Ruffwear Chain Reaction Dog Collar. The average customer rating is 4.7. Great quality product, great for my Vizsla and no pulling, walks beautifully with this collar. It looks great too. Top quality collar for my reactive dog. I feel totally in control and when I correct my dog, I know he is not being hurt. Finally a collar with purpose! This Ruffler Chain Reaction Dog Collar is what my English Bullterrier needed; non slip, un-breakable, soft, quiet, responsive and attractive. Brian the English Bullterrier and his Mum recommend this tough pooch collar to all (especially EBT pooches that like a little bit of an excitable pull). So totally happy with this collar! Works better than a check chain, now when Indy pulls she doesn't choke and I can control her much better. 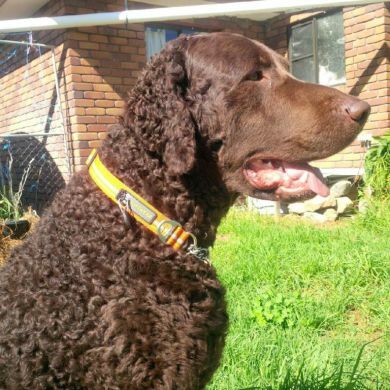 I had to find another collar for Max - my Liver Curly Coated Retriever Dog that would stand up to the wear and tear of a 20 month year old Entire Dog. 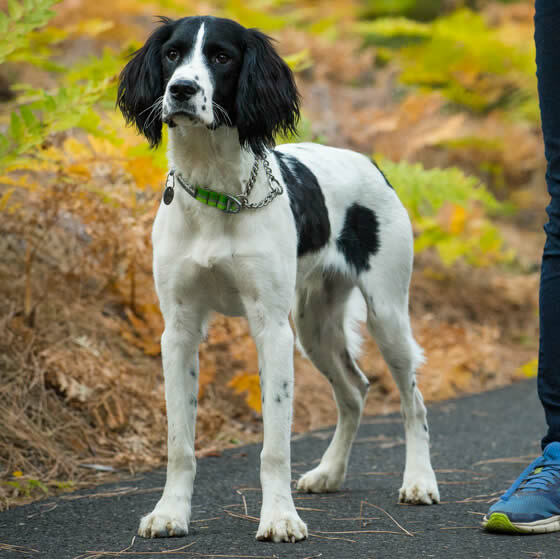 Max is a show dog, however when he is not showing he is just our farm dog and needs a good quality collar for everyday wear down the paddocks. I searched the internet high and low and then I found Waggle! I wasn't sure what size would be good for Max and thankfully Zoe was on the end of the customer service chat facility on Waggle's website. After chatting with Zoe, we decided on what size was best for Max. I got the impression after chatting with Zoe that she knew her stuff and was happy to go with her suggestion. So placed the order there and then! Promptly in the mail I received Max's collar and was very happy on sight of it. It was well made and finished and I knew straight away that it was the right collar for Max. The fit was perfect and I have no problems seeing Max in the paddock. Thanks Zoe so much for your advice during the purchase process , I'm very happy with the Waggle experience and the collar - Waggle is now bookmarked on my laptop!! This is a wonderful collar. My Australian Shepherd responds really well just to the slight noise of the chain and I prefer that he still has a nice wide collar that won't hurt him if he pulls. Originally I got the large however I changed it for a medium - so easy, and great service, I was really impressed. I love this collar except for the mild steel parts which are now very rusty as I walk my dog at the beach a lot. The rest of the collar has worn incredibly well, it is a shame Ruffwear have not upgraded to stainless steel chain and rings which would make this the perfect collar worth 5 stars or more! This collar had an immediate effect on the young whippet I'm training to walk on a loose lead. He was out of control in the flat collar he wore as a baby puppy, barging ahead and darting in front of me and behind me. He's surprisingly strong so it was extremely hard work for me and I was at risk of being tripped up on every walk. After only a few outings wearing the chain martingale, he's walking at heel much of the time. The progress he's made has been amazing. I was looking for a collar like these for years and finally finding them was very exciting. The "snap" of the chain adds to the training, yet you know the collar is not tightening on the neck, totally awesome and Very Well made, both my Great danes look handsome in their new collars. I wanted collars that were wider than the largest size (25mm) but I am extremely happy.